Leading audio industry publication What Hi-Fi? announced last week that not one but two different Denon home cinema amplifiers took home one of their prestigious annual awards. Denon are a world leading audio solutions and manufacturer, and it was two of their newer amplifiers which took home the honours from What Hi-Fi?. 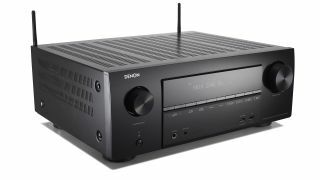 The first amplifier to capture an award was Denon’s AVC-X6500H, which is the company’s update to their AVR-X6400H amplifier. The AVR-X6400H was What Hi-Fi?’s high-end champion last year, and the publication were impressed by the improvements made by Denon in delivering the new AVR-X6500H. According to the announcement made by the publication to accompany the giving of their awards, those improvements led to considerable gains in performance for Denon’s new amp. They also stated that the model ‘added yet more lean muscle to its presentation without sacrificing any of the subtlety or sophistication’ of its predecessor. Also taking home an award, as What Hi-Fi?’s midrange amplifier of choice, was Denon’s AVR-X3500H. Described as a smaller sibling to the AVR-X6500H, the midrange amplifier ‘mirrors the advances made throughout the range, setting a new bar for the performance available from a home cinema amp under £1000’, according to the publication. Going further in their praise of the AVR-X3500H, What Hi-Fi? claim that they had to expand their home cinema amp award category to include it, in order to recognise its ‘acute sense of timing and gloriously expressive dynamics’. If you would like to discuss your requirements for Denon amplifiers or other audio solutions please call us on 0800 195 4825.